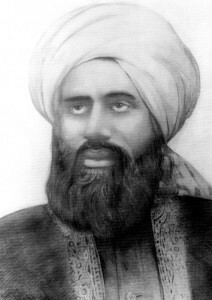 After the demise of the Promised Messiah, Hazrat Maulana Hakeem Nooruddin (ra) was unanimously acclaimed as his successor on 27th May 1908. This also inaugurated Khilafat in Ahmadiyyat as prophesied by the Promised Messiah. He guided the community in this capacity till his death in 1914. The Promised Messiah has eulogized him in a Persian couplet which is a beautiful testimony in acknowledgement of his dedication and stature. How nice it would be if everyone from my followers were Nooruddin. This is possible only when one’s heart is illuminated by the light of truth and firm belief. He was also held in very high esteem among the scholars of Islam in the 19th century. In pursuit of knowledge, he travelled far and wide, including the privilege of a four-year stay in the holy cities of Mecca and Medina. English translation of the Holy Qur’an. Establishment of first foreign mission in London. Extensions to Masjid Aqsa and Talimul Islam High School buildings. Inauguration Noor Hospital and Masjid Noor. Hazhrat Khalifa Awwal (first) had immense love for the Holy Qur’an. He was taught the Holy Qur’an by his mother in early childhood. In later life he often said that he had heard the Qur’an recited by his mother while he was in her womb and had imbibed love of the Qur’an with his mother’s milk. He went far and wide to learn arabic, and in the understanding of the knowledge of the Holy Qur’an. He used to regularly give Dars on the Holy Qur’an to the members of Jama`at, as his health deteriorated, with age, his doctors suggested that due to his condition he should stop delivering his usual Dars to which he replied, “The Qur’an is my soul, without it I don’t have a meaning in life and hence I cannot stop delivering the Dars under any circumstances”. These teachings of the Holy Qur’an (Dars) are now preserved as ‘Haqaiqul Furqan’. He was very well versed in Medicine, he was Royal Physician to the Maharaja of Jammu and Kashmir for many years. He started his study of medicine initially with Hakim Alah Din, and later with Hakim Ali Husain of Lucknow and also Maulawi Fadlullah. He returned to Rampur to be employed by the Ruler of Rampur, along with his mentor. Later he moved back to his hometown of Bhera and started practice of medicine. His methods of diagnosis, fortified by a strong faith and a perfect reliance upon God, became known widely very soon. People from far and wide sought his services. Throughout his life he never demanded a fee and was more than content with whatever God provided. He did not discriminate between his patients. Everyone of them received his full attention. The poor and indigent were the objects of his special care. Where needed, he provided them financial assistance. Hazrat Maulana Hakeem Nooruddin (Khalifatul Masih I) was a pure and simple man, tolerant, frank and straightforward, and truthful. He had excellent qualities of administration and statesmanship. He had a singular faith in God. His trust in Him was noteworthy and very remarkable. As a befitting epilogue, I quote an excerpt from the Promised Messiah’s book “Fatah-i-Islam” There cannot be more glorious compliment since they come from the Holy Prophet’s vicegerent. “I must ardently make mention of a brother in faith whose name, so behoving owing to his superb qualities is Nooruddin – The light of the Religion. I envy his zeal and his sacrifices in the cause of Islam. Seeing this enthusiasm, I am overawed by the Glory of the Lord how he exalts the humble beings whom he chooses.” was born in the village of Bhera in Punjab in 1841. He was youngest of the seven brothers and sisters born to Hafiz Ghulam Rasool sahib and Nur Bakht sahiba. He was the 34th in direct male lineal descent from Hadhrat Umar(ra), second Successor of the Holy Prophetsa of Islamsa. He was thus a Quraishi, Hashami, Faruqi. He received his early education at home from his mother, and then as he grew up he was sent to school, he was a very erudite pupil with utmost respect for his teachers. He as also a student of languages, he learnt persian, arabic and Urdu from various teachers. He completed his diploma of education from Rawalpindi in 1862, he did so well in this examination that he was appointed Head Master of a school close to his hometown of Bhera. He held that office for four years. He completed study of medicine. He died on Friday March 13, 1914. News of his death was carried by papers throughout India and commentaries lauding this illustrious dignitary were written.